REVIEWS OF MOVIES, TV SERIES, BOOKS, PLAYS, SONGS, etc. Mr. Munshine at the English table for editing and possible publication. We want and need reviews by students! Reviews will be saved so that even if you miss them in the theaters, you can still see them (or avoid them) when they come out on DVD, blu-ray or TV. 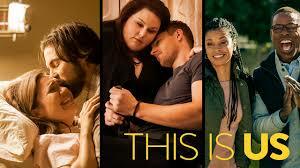 "This is Us" - simply the BEST scripted TV show on the air! Watch this show! It's great. It follows the story lines of a family which you will really care about. You will share the emotions and experiences that each of the characters - Jack, Rebecca, Beth, Kevin, Kate, Randall, William and Toby - goes through. You will have no problem relating to their challenges and their relationships. Watch the first episode and you will be hooked. Just pay attention to the surprise at the end of that episode. It sets up the ones that follow. Watch it; you will love it! We start with a review of the re-opened Soundview Movie Theater in Port Washington. The cinema was done in a medieval theme (Check out the two photos above), with pictures of castles and statues of knights in armor. 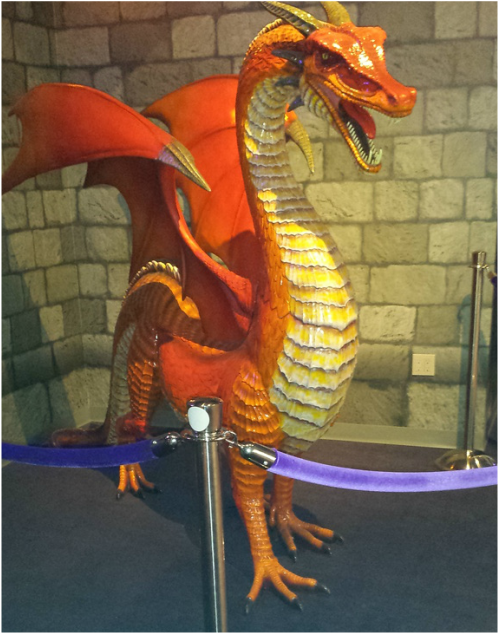 There are flags of royal families and the seating in each theater is comfortable --- fit for a king. Of course, the concessions, as in any movie theater, cost a king's ransom, but the concept of walking around in the midst of decorations which suggest England hundreds of years ago, with stone walls (and, as a touch of humor, the ticket booth called the dungeon) is enticing. Of course, be sure that a movie which you want to see is playing there. THE HUNGER GAMES TRILOGY - By now, there have been four movies made based on the three novels by Suzanne Collins: The Hunger Games, Catching Fire, and Mockingjay. The movies have done a successful job of setting the various scenes where the story takes place. What you see on the screen comes very close to matching what your reading and your imagination tell you the districts and the Capital look like. The characterizations of the assorted people in the story are accurate. The choices for the actors are working. The costuming is magnificent. The feel of the book - the oppression of the districts, the desperation of the lives of those further away from the Capital, and the decadence and meanness of the lives and actions of people such as President Snow and the Game Show host, Caesar Flickerman - hits the target! Watching the films of the first two books is a satisfying experience . . . but reading the books is an even more fulfilling and enchanting activity. As usual, there is more of the full story in the novels than in the movies. Even better, after you read the first two books, read the third and get to the conclusion of the entire story - long before the third and fourth movies come out over the next two years. (Yes, just as happened with the last Harry Potter book, they are splitting Mockingjay into two separate films.) Why wait? Read. You have the power. The first movie in this slideshow (slides 1 - 3) is "The Butler." It stars Forest Whitaker and Oprah Winfrey. It is worth seeing because it gives you a feel for what it was like in this country in the 1950's, 1960's, etc. You get to see history happening through the eyes of an African-American who worked in the White House under Presidents Eisenhower, Kennedy, Johnson, Nixon, Ford, Carter and Reagan. You will better understand the decade of the '60's, when so much happened to affect our history. By the way, the acting is excellent. The second movie in the slideshow (slides 4 - 6) is "Elysium." It stars Matt Damon. There isn't much of a story or character develop-ment. This movie is for those of you who like a lot of action, violence, noise and shooting. The third movie represented by the slideshow (slides 7 - 9) is "Blue Jasmine," directed by Woody Allen. People who will enjoy this movie like films with a lot of talking and not much happening. The conversations go on forever (hyperbole alert). The acting is good but the characters are hard to care about or relate to. Next, there is "Closed Circuit," a British thriller (slides 10 - 12). Again, the performances are solid and believable but the plot is a bit far-fetched and the first half hour moves rather slowly. There is murder galore and the ending may not make you happy. Finally, the movie "Salinger" is a documentary examining theories about why the author of The Catcher in the Rye stopped publishing in 1965, at the height of his popularity, and withdrew to a private life for the next 40+ years. Also explored is the possibility that he wrote additional novels and stories during this time - including a possible follow-up to the story of young Holden Caulfield - and that one day they will be published. This once-a-week show ("The Neighbors") is silly but fun. The concept is easy: a human family moves into a neighborhood development otherwise inhabited by creatures from another planet who look human but act weird. They are here to experience what it means to be human - and they do, in both chuckling and laugh-out-loud ways. Of course, there's also the teen love between the alien boy and the human daughter. The actors have talent - and the audience gets a chance to relieve stress and just feel good - about being human. The once-a-week TV show called "The Blacklist" has as its two main characters a pair of unusual people: a criminal mastermind / genius who has voluntarily surrendered after eluding capture for many years and a rookie law enforcement agent who just graduated from the FBI Academy and who finds her first case to be as an assistant to the criminal genius, who has decided to help the FBI captute some of the most dangerous criminals out there - but only with the help of the FBI rookie whom he has specifically stated is the only one to whom he will speak about these cases. Aside from a weekly adventure, there is the constant question of why James Spader's character selected the female rookie agent as his "partner." The answer probably lies somewher in their backgrounds. The show has fine acting and excitement. What else do you want in a drama? It's worth one hour of your time every week (unless you have homework to do; in that case, record the show for later viewing). "ATTACK ON TITAN" - This is a TV series showing the anime adventures of humans fighting against a gigantic race of Titans who are trying to destroy them. The series starts with the humans living in a village surrounded by a 50-foot tall ancient protective wall meant to keep the Titans away from them. Before episode one is completed, the Titans have climbed over and destroyed the wall and have driven the humans away, but not before consuming a few. 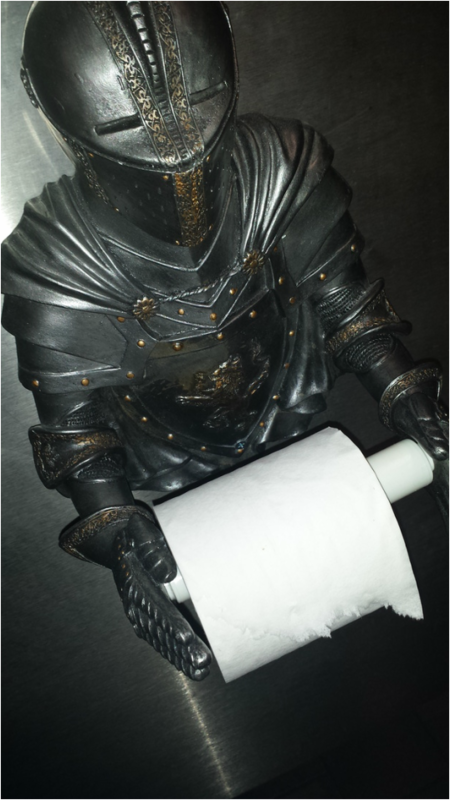 The series will concern the humans' fight for survival. The graphics are highly detailed and the action is fast-paced. Sometimes the dialog is too melodramatic and a few characters yell rather than show their emotions in more subtle ways. The story line, however, is intriguing and suspense is constantly present and supported by the background music. Look at the slideshow below this review. If you wish to watch the first 25 episodes, just click HERE and you will be taken to a site which will provide these shows. "The Americans" - This is a TV series which has gone through one successful season, so far. (The American Film Institute named this show one of the 10 best of 2013. ) You should watch the other seasons when they come out on the channel called FX (Channel 40 on Cablevision). It is a story of intrigue and mystery, of action and love. The premise is this: In the 1960's, two citizens of the U.S.S.R. - Russians - are trained to act and sound and look like Americans. Then they are sent to the United States as a married couple (even though neither knew the other before this assignment) as a sleeper cell to wait until they are called upon to act against America. This is at the height of the Cold War. It is now the early 1980's. Ronald Reagan is President. They now have two children (who have no idea that their parents are really Russian spies and activists). Their next door neighbor just happens to be an F. B. I. agent who is suspicious about everything. Interestingly, the Russian husband and wife have grown to love each other and their kids, but - to complicate things - while the wife remains totally loyal to her homeland, Russia (and the entire U.S.S.R. and communism), the husband has changed. He loves his homeland but also appreciates America and no longer views it as the horrible enemy that his wife still does. All this makes for some interesting and exciting weekly episodes when the couple are called on to start taking actions against American citizens and the U. S. government. (Remember that their kids are totally American. What would they think if they ever discovered the real story of their parents?) View the slides which follow to add flavor to what the series is like - and watch it when it appears on your TV set. Seventeen magazine is filled with magical wonders which relieve you of your boredom as you wait in the dentist's office or in the car. Whether you want to take a quiz or read about what's hot and what's not, it's all there. My favorite section of Seventeen is the Fashion section. It gives me inspiration about different outfits and clothing prints for when I sketch clothing designs.It also gives me an idea about how different celebrities dress - and how the color mustard is "in" right now (which I find totally bizarre: mustard belongs on a hot dog, not a shirt). There's also the Quiz section, where you can discover who your celebrity match is or which dress fits your mood on that particular day. What really irks many people about Seventeen, though, is that when you flip through the pages, they are full of irrelevant ads, such as, "Buy your hand soap now!!" I don't want hand soap. Maybe if they offered to sell Taylor Lautner, then I'd reconsider my thoughts about the ads. Since I'm going on about the various sections of the magazine, let me explain why I read only the Fashion section. When I go through the publication, each flimsy page pops out at me with bright neon colors and bold fonts. The worst section of them all is Gossip. As the writer discusses how Selena Gomez and Justin Bieber broke up because they were arguing about who should get the last popsicle in the fridge, the reality is that is was all for publicity. I totally get that celebrities need some drama to keep their names in the headlines (or to just be Beyoncé; always be Beyoncé), but it's ridiculous how people still believe the verbal diarrhea flowing from each author's fingertips. I also don't enjoy the other parts of the magazine simply because, well, for no good reason which I care to express. I'm 16 going on 17, and I believe that I can read whatever I'd like. Don't you agree? My friend once said, "The best way to ruin a great book is to film it." However, there's always an exception. 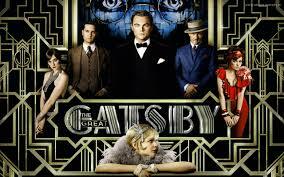 The movie "The Great Gatsby" showed what "the Lost generation's" lives were really like. 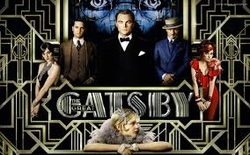 The director, Baz Luhrmann, one hundred percent reverted to the clothes and culture of that time in western Long Island (mostly Great Neck - West Egg - and Sands Point - East Egg); it was the Jazz Age, and there were extravagant parties and carnivals all over the United States. He emphasized the luxuries by the use of bright, conspicuous colors. For instance, when Myrtle Wilson slowly walked downstairs in a red dress, the audience automatically ignores everything else, including the dusty garage and her tired, old, poor grey-shirted husband, George. Then the viewers will turn their attention to Tom Buchanan's affair with Myrtle. For those of you who have never read the F. Scott Fitzgerald novel, you won't pay much attention to George Wilson, who eventually commits a horrific and deadly crime. However, at the end of the movie, when you find out what George was responsible for doing, you will be surprised . . . but it will all make sense. The fancy colors give added life to Myrtle's dream but the darkness and the grey come to represent the same gloominess of George's life that the Valley of Ashes he lives and works in do. After the movie, I asked my friends what they thought about it. Surprisingly, I found that those who had read the book before seeing the film thought that the movie was terrific and they all wept; those who hadn't read it found the movie pretty much like a bad drama. I can't tell exactly why this happened, but I guess that it might be because the director soaked in the book, and the movie is full of his understanding and impressions.